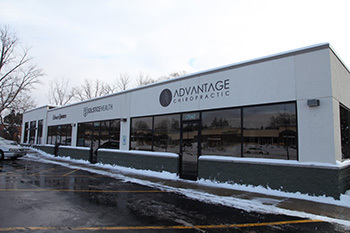 Advantage Chiropractic began serving the New Berlin and Brookfield communities on March 27, 2017. Our doctors are passionate about helping you reach the highest possible level of health and well-being. With natural chiropractic care, you can get to the root cause of your pain and symptoms and live a fuller, richer life of true wellness. To build trust within the community by delivering high-quality, neurologically based chiropractic care, giving every person that receives it an advantage on the physical, chemical and emotional life stressors. We are here to get you well and continue to keep you well for your entire life. Every one of us has a nervous system that controls all functions in the body. To breathe, for your heart to beat and food to digest, your nervous system must operate. It’s responsible for the communication between your brain and body, with the brain telling the body what to do and when, and the body sending information back to the brain. The nerves of your body are so vital that they’re encased in bone — the spine. Due to the stresses of life, the bones of the spine can shift out of place, affecting the delicate nerves that they protect. You can think of these misalignments as roadblocks on the communication highway. By removing these barriers, your brain and body can communicate better than they ever have before. As long as you make your health a priority, you can achieve anything. One of our practice members was a veteran who had problems in his low back and other health challenges. Through chiropractic care, he saw not only his discomfort decrease but started to see an overall improvement in his well-being. He felt more fulfilled and revitalized in health. If you’re ready to find out how we can change your life, contact our chiropractic care center today! Same-day appointments are available.